There is no doubt that trading plan development and Forex trading requires more than a list of the top 12 Forex trading tactics. Above and beyond trading tactics, you also need experience, capital, fortitude, and, above all, a solid Forex trading plan. However, for most beginners and those who sometimes lose their focus, 'keeping things simple' can be a great mantra. This list will help improve your trading tactics and help to introduce more focus into your currency trading. To that end, here are 12 Forex trading tactics that you can use for forex trading that can help you get a grip on these exciting markets. 1. One of the best trading tactics is to never add to a position that is losing, while trading Forex. 2. Remember the power of a position, and don’t make a market judgment when you are sure you have a position. 3. Another of the great Forex tactics is to always decide where you will stop and what your profit is objective before you enter a currency trade. Rather set your stops according on market info, than on your how much money you have in your account. 4. Sometimes the best Forex trade tactic is to not trade in currency at all, especially during times of excessive volatility or due to a lack of liquidity. 5. There are at least 3 types of markets like range bound, down trending, and up trending, and you should definitely have a unique trading plan for each. 6. Your choice to exit a currency trade reflects that you're able to pick up changing circumstances. 7. Remember that not all currency trading plans that work in an up market, work as well in a down market. 8. Another great FX trading tactic is to never sell a dull market in a Bull market, and to never buy a dull market in a Bear market. 9. Market patters will always have up and down patterns, it's only that 1 is always a bit more dominant. 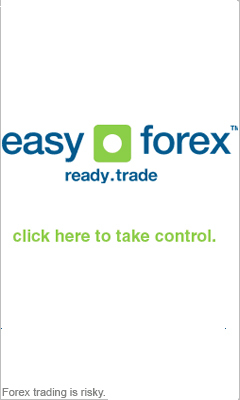 Therefore one of the best forex trading tactics is to choose currency trades that go with the current trend. 10. Being superstitious and not doing trades if you are not 100% happy is a good FX trading tactic. 11. When it comes to Forex trade tactics, buy the news that you hear, sell the factual news. 12. During the (up or down) market stage called the ‘blowout’, the risk managers are normally issuing orders for margin call liquidation. They don’t usually check the screen for oversold or overbought; they just continue issuing liquidation orders. One of the best foreign exchange trading tactics is to ensure you don’t stand in the way.